It’s the husband’s birthday! Woohoo! 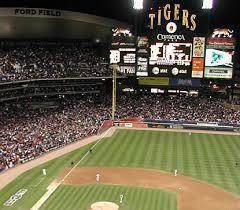 We’re ringing in year 26 in style when we take in a Detroit Tiger’s game this afternoon. I just hope we don’t freeze/get rained on. Cross your fingers for me! Before I moved to Indiana, I lived in Mississippi for 4 years while I went to school. I came to love the state and the culture. Curious to learn more about the state than its statistics will tell you? I am Mississippi. Want just a cookie or two? A friend sent me this recipe for a single serving of chocolate chip cookies. 19 things to stop doing in your 20s.